Everyone knows that the audio quality of cheap over-ear headphones is next to useless, which is why in-ear buds dominate the low-end market these days, coming bundled with everything from iPods to mobile phones. Put simply, jamming headphones into the enclosed spaces of the ear cuts out more outside noise and allows the music to get through to the inner ear more efficiently. 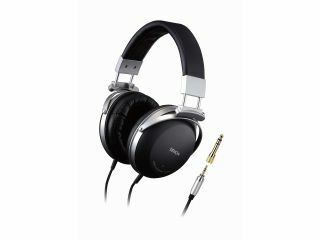 Still, this somewhat crude approach leads audiophiles and professionals to generally go for either large, sealed, over-ear cans at about ten times the price of earbuds or very expensive, tailor-made, in-ear monitor headphones that cost many hundreds of pounds. Fortunately for the rest of us, JVC now has a third option for obtaining quality sounds, in the shape of audio-isolating buds whose driver unit pokes right into the ear canal along with the plastic. The company's HP-FXC50 earphones will go on sale in Japan at the beginning of August for ¥4,000 (£18), which is barely twice the price of standard buds. Their secret lies in a long, thin driver that can be squeezed into the part of the bud that actually enters the ear. This provides better audio through eliminating leakage and outside noises.